Students may choose off-campus proctoring from the four options below. Any fees, such as exam proctoring fees and postage, are the responsibility of the student. The test taker (student) must present official university or government identification (e.g. college/university ID, drivers’ license). If located outside of the United States, military personnel (student) may take examinations under the supervision of a commissioned officer. If the test taker/student is located within the U.S., the use of Option 1, 2, or 3 above is preferable. The Proctor Identification and Approval Request is required. After the proctor has been approved, the Proctor Agreement form should be completed. The approved proctor must complete and return the Proctor Post Exam Report after all test he/she has proctored have been completed. Please review the JSUOnline Approved Proctors List for proctors in your areas. The test taker (student) may take the exam from home or any convenient location by using the Remote Proctor Now (RPNow) online proctoring service. RPNow from Software Secure is an on-demand, easy to use, low-cost alternative to testing centers, personal proctors, and other inconvenient methods of securing the online testing environment. Students can take tests at their convenience, in the comfort of their own homes, using their computer and a webcam. No student set-up required, no scheduling, no pre-purchase, no new hardware or software. Simply log in and test with integrity in 4 easy steps and in 3 minutes or less! 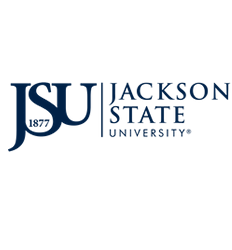 Review the JSU RP Now Exam Policy for Online Exams prior to selecting this method of proctoring service. The student must review the RPNow Exam Taker Quick Guide and the Test Taker (PC USERS MAC USERS) video before using this service. A $15 per exam fee for this service must be paid directly to Remote Proctor Now at the time of the test. See Payment Information for payment options. The test taker will need a camera, microphone, and a sufficient Internet Connection (specifically, upload speed) to take exams using the Remote Proctor Now (RPNow) system, as well as a MAC, running 10.6 or higher, or a PC, running Windows XP or higher (be sure to install any Windows Updates). Flash is also required and can be installed from http://get2.adobe.com/flashplayer/ (Note: The test taker can uncheck to install Google Chrome, this is not required). To run a quick system check and/or take a test, please go to http://remoteproctor.com/rpinstall. Dual monitors are not supported. The test taker *must* unplug the additional monitor to use the software. Complete and submit the Student Remote Proctor Now Request and Agreement Form to your professor and/or jsuonline@jsums.edu. The test taker (student) may use a proctor from any regionally-accredited two- or four-year college or university that has testing services available. This includes the institution’s library. Most institutions have testing facilities and/or services. Please inquire with the facility for proctoring fees. The student is responsible for paying proctoring fees. The Proctor Identification and Approval Request is required. After the proctor has been approved, the Proctor Agreement form should be completed. The approved proctor must complete and return the Proctor Post Exam Report after all test he/she has proctored have been completed. A local librarian may serve as a proctor if testing at a two- or four-year college or university is not possible. Other acceptable proctors include public or private school personnel, professors, or other professional staff persons. Please inquire with the facility for proctoring fees. The student is responsible for paying proctoring fees. The Proctor Identification and Approval Request is required. After the proctor has been approved, the Proctor Agreement form should be completed. The approved proctor must complete and return the Proctor Post Exam Report after all test he/she has proctored have been completed.